We share seven tried and tested methods of offering multilingual customer support from the contact centre. 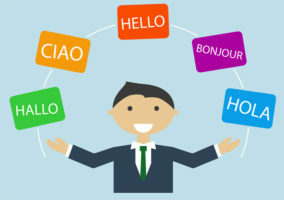 In today’s world, where businesses are going global and borders are becoming less of a hurdle to overcome, more contact centres are becoming multilingual. 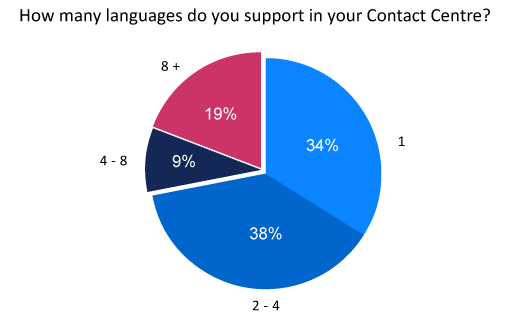 However, many still struggle to support multiple languages, with our poll suggesting that over a third of contact centres can only handle calls in one language. 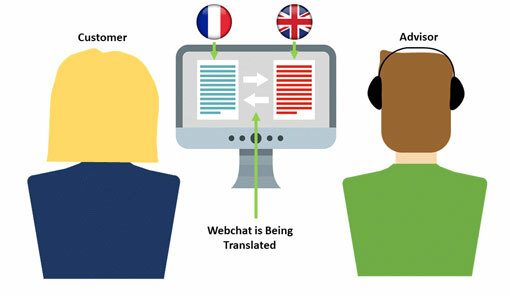 So, how can your contact centre provide multilingual support? There are seven different operational models that we know of for contact centres to support multiple languages. Here we present an overview of each one, highlighting their benefits and drawbacks. These seven approaches, outlined below, are those commonly adopted by contact centres, but each have significant pitfalls, which are noted by Tom Tseki, VP & General Management of Customer Care Solutions at Lionbridge. This approach is common in contact centres that are greatly restricted by budgets, where there is no formal multilingual support. Simply, this process involves providers calling upon native speakers, who are generally non-customer-care colleagues, to help provide ad hoc support. Grabbing a resource from marketing, accounting, or another function can meet the occasional language support need, but it’s not a scalable, sustainable solution and doesn’t provide a great experience for either customer or company. OPI involves a native-speaking advisor, a foreign-speaking customer and a go-between interpreter who translates everything that is said. For small-volume contact centres this can often be a useful solution, as the process either uses a “pay-per-minute” structure or works via a monthly payment. 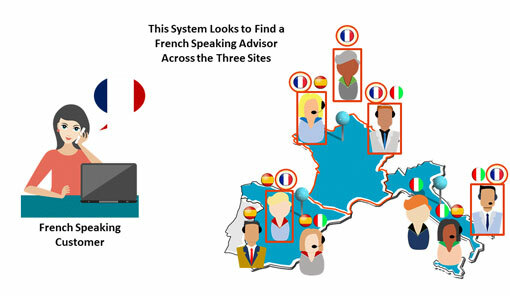 In addition, this method is beneficial as you do not have to train additional advisors on internal systems, protocols etc., as they are merely translating what the advisors are saying. This is the most-used option across US contact centres today, but it negates the value of omnichannel and alienates consumers that prefer self-service or digital channels. Offering OPI in lieu of multilingual multichannel support results in higher service costs and longer speed to resolution. 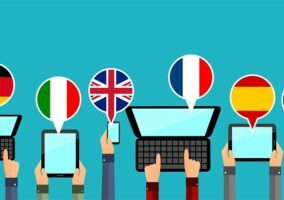 Online translation tools act as a bolt-on to typical translation sites, making contact centres able to automatically translate live chats, forum posts, emails, website posts and any other written content. The bolt-on that these tools offer covers specific jargon related to the contact centre and the industry it is in. This means that many of them are nearly 100% accurate. This has the benefit of allowing advisors to go about their jobs as they would in their first language, responding to written contacts in the same manner, removing the need to hire specialist advisors or use the other more expensive methods detailed in this article. 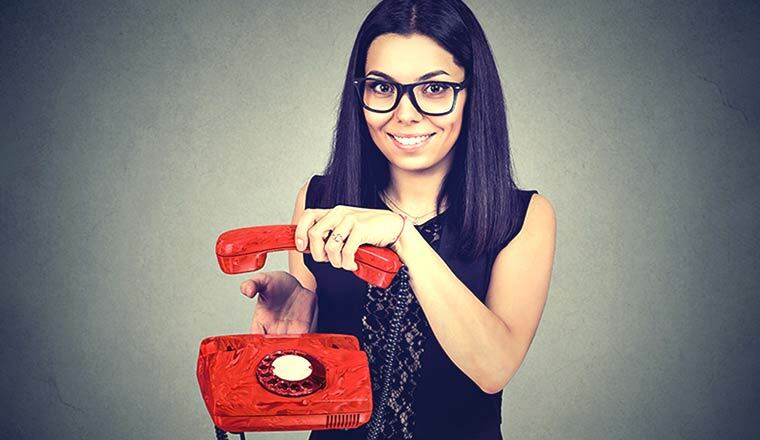 The drawback to using this method in the contact centre is that it cannot be used to cover all channels, as it is not suitable for voice contacts. So, to implement this model in the contact centre effectively, it would be necessary to hire multilingual advisors or use OPI to cover that base. This one is self-explanatory, as you recruit advisors who can speak more than one language to work together in a centralised hub. By hiring bi/multilingual advisors you can ensure that the processes that are followed, the guidance that is taken on board and the advice passed on to customers is influenced by company culture. 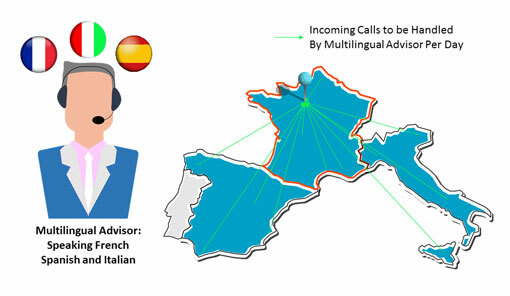 Another benefit of having in-house multilingual advisors includes flexibility, as you can move advisors around to target queue times from specific countries and to cover all channels. Recruitment and retention of multilingual speakers is difficult and expensive, and even a single absence can have a significant impact on service. 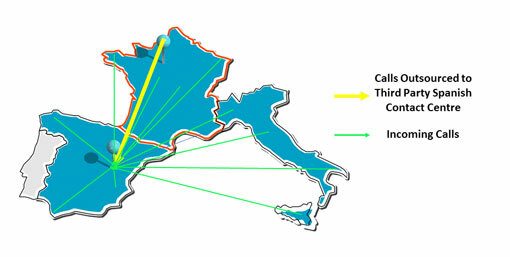 Hours of coverage are often challenging as existing contact centres may be in different time zones from the customers that speak the language. 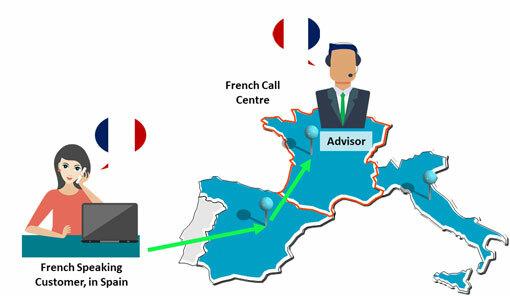 This operational model involves establishing contact centres in each country that your business operates in, so that customers can speak to a native-speaking advisor. 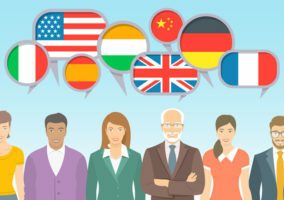 The method can be very useful in quelling language issues, as you can recruit so that customers are interacting with a native speaker of their language. This can make conversations more natural, making rapport and empathy building easier. If you choose to do this, a good tip is to gather coaches from each worldwide contact centre together every 6–8 weeks for calibration sessions. This would ensure that the level of service given is the same no matter what language is spoken. Establishing in-country contact centres is customer-centric, but it is prohibitively expensive and can be difficult to forecast and scale. This approach runs counter to the trend of centralising call centres to reduce overhead costs, increase agent efficiencies, and improve service consistency. Although telecommunications providers have made this option more feasible from a cost standpoint, it still requires a significant investment and commitment by the organisation to set up in a new country. This involves contracting the duties, operations and accountabilities of company contact centres to a third-party service provider. Whilst this is typically undertaken for back-office support such as human resources, finance and accounting, applying this approach to contact centres can increase financial flexibility. This is particularly useful to maintain growth goals, as a business will most likely have a fixed contract with the third party, whilst avoiding significant bottlenecks. Handing over part of your business to a third-party company is going to make quality assurance targets difficult to achieve. Take service level, for example: ensuring that the contact centres associated with your business are hitting the ‘80% of calls answered in 20 seconds’ standard will be a challenge. Furthermore, not having advisors specifically under your banner means that you cannot influence their technique, style and approach to calls, so that they are steeped in company culture, whilst the overall quality may be questionable. 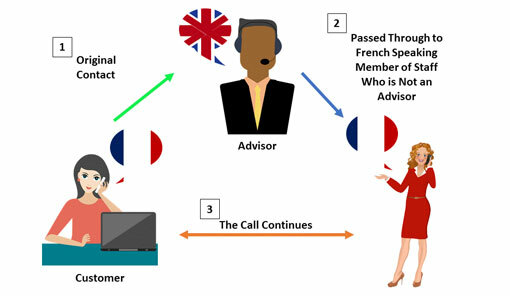 Networking between worldwide contact centres involves pushing calls out to a country where the customer’s first language is that of the advisor or to where a contact centre has a specialist advisor for that native tongue. This is a solution that is used by PhotoBox, who staff both in-house multilingual advisors and push incoming calls to other contact centres, which belong to the company, across Europe. The system that PhotoBox use to do this involves a combination of New Voice Media ContactWorld platform and Diabolocoms Engaged platform, but similar systems can be created with other technologies. By using this operational method, contact centres not only have the facilities to take multilingual calls, but also can push other calls to contact centres around the world if one centre is strained by a sharp rise in call volumes. Also, if you combine this method with the calibration sessions used by PhotoBox noted in point 5, consistent service can be ensured across all languages. This consistent service will also have the bonus of being steeped in company culture and values, which may not be the case if you choose to outsource. As this is a variation of setting up contact centres in other countries and hiring multilingual advisors, there is going to be a high cost element to this model. So, if you are going to utilise this strategy, it might be best to do so as your business grows. As if you are starting off in America and want to move into the market in the UK, it would be useful to set up a contact centre there, whilst hiring a couple of advisors who speak Welsh, Polish and other common languages. This also means that if the British contact centre becomes overwhelmed, it can push English-language calls back to the US to relieve that pressure, whilst you have a solid foundation if you choose to do some work in Poland, for example, too. Do you agree with our recommendations? Are there any other operational models that you know of that allow contact centres to provide multilingual support? If so, please leave a response, along with anything else that you may wish to add, in an email to Call Centre Helper.